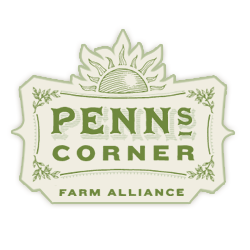 Penn's Corner Farm Alliance is positioned to grow with the demand for fresh, local food in western Pennsylvania. We are interested in adding new motivated farmers who have a passion for delivering high quality products. We offer a full line of seasonal vegetables and fruits, as well as pork, beef, lamb, and chicken; homemade pastas, mushrooms, eggs, honey, and cheese 52 weeks a year. We would be glad to speak with anyone who would like to learn more about our member-owned cooperative. Please email info@pennscorner.com. Please note that any produce growers must be GAP (Good Agricultural Practices) Certified to be considered for membership.